Slightly belated seasonal greetings to the BattleTech community! The Audit and Correction phases of Operation Doneve are now complete; development of scripts to create and update neighboring system tables to begin shortly. Work progresses on the article maps. See the Article Mapping section for sample images. Catalyst Game Labs have released a new bundle of releases in electronic format, based around the 2018 World Wide Event. The new releases include Touring the Stars: Stotzing, Spotlight On: First Marik Protectors, the BattleTech: Dig, Defend or Die scenario pack and the MapPack: WWE2018 Terrain Set. Phases I & II (Audit and Corrections) of Operation Doneve are mostly complete, with almost 3,300 articles updated today to Volt Ampere's precise coordinates, thanks to the script Nic designed and ran. Next up are some minor corrections, mostly to missing systems identified during the audit. We're also very pleased with the individual system maps Gruese has designed, which will be unveiled in Phase III (Mapping). A number of new releases have been produced by Catalyst Game Labs. Copies of the two new box sets were released at GenCon, the first of the two-volume ilClan work, Shattered Fortress, is out in PDF with hard copy to follow soon, and two accompanying novellas, The Anvil and A Splinter of Hope are now out in electronic format. Sarna.net is now available over TLS (HTTPS): https://sarna.net. We're monitoring the secure pages to make sure there are no kinks -- please let me know if you encounter any issues. The only reason the BattleTechWiki is such an amazing resource is because of its members! Check out the 2017 Founders Awards! Impressive changes are coming to the system articles. A cross-site collaborative effort, Operation Doneve, to improve the accuracy and appearance of the articles' maps and coordinates has been undertaken by Gruese (creator of Inner Sphere 3025), Volt Ampere and his Sarna Unified Cartography Society, and the Project: Planets team. 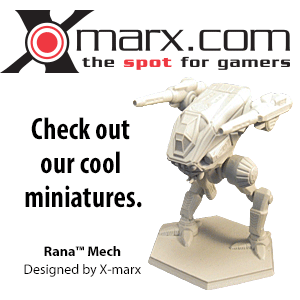 The project shall culminate in a Sarna-themed version of the Inner Sphere 3025 site to support BattleTech fans. Read here for further details, and jump in here, to participate. A settlement has been reached in the ongoing lawsuit between Harmony Gold (HG) and PGI, IMR et al by which HG's claims are dismissed with prejudice; the only known concession from the defendants is that they'll not claim legal fees from HG. This amounts to a full win for Team BattleTech. Xin Sheng! Seven years following the release of the previous new award, the Final Four are now released. These Admin-level awards can be nominated by any Editor to any Admin for review. Please check out the new Diligence, Leadership, Tireless Contributor, and WikiProject awards (plus, all of the others) and identify the Editors that match best. And, as always, thank you for your improvements to Sarna. Admins: The Admin Pages shortcuts (in the Sidebar) will be helpful in fighting the spambots. The filters are working, blocking (or only tagging) numerous edits. See the Abuse Log for triggered edits; they appear to be blocking a considerable number of new pages. I'm working on the prevention of new User pages. For a few days, I will be monitoring/notating words and URLs that are getting thru or being blocked, indicating new targets. Also note: I'm not certain the Merge & Delete function is blocking IPs, so please block the registered and individual IPs directly. With the refresh of the awards images underway, a new Edit Count award--to commemorate Sarna's own Devlin Stone, Editor Doneve--has been released. Once you reach 91,296 edits, you may choose from one of two versions of the Doneve Device. The first version has his edit-weary bird icon, while the second has his callsign printed over the Edit Count ribbon in classic BattleTech font. Once Doneve returns, the required count will increase to continue to match his. Take the opportunity now to earn this award! Special addition today for all those Sarna Admins who are mothers: the Merge & Delete shortcut can be accessed via the sidebar from any page (under the "Special Pages" heading). We'll keep it up there during this spot of spambot love; if it's appreciated, we can discuss leaving it there. Kudos to all contributors who are currently datamining the HBS BattleTech game and creating articles. However, a word of caution and a reminder: Please respect copyright, and refrain from simply copying & pasting text from the game. Unless you need to cite text verbatim, "fair use" does not apply. As is always pointed out below the edit box, by submitting an edit you declare "that you wrote [it] yourself, or copied it from a public domain or similar free resource." The Sarna Unified Cartography Society has released an update to the SUC Kit, providing coordinates for the 16 systems from HBS' BattleTech game, as well as minor corrections to 118 other systems. See System coordinates for details and release version 2018.04. The software that runs BattleTechWiki, MediaWiki, has been upgraded to version 1.30.0. This upgrade fixes a couple known issues on the site (such as category pages not updating on saves). If you encounter any issues with the site, please let me know immediately. Catalyst Game Labs announced the updating and refreshing of the Coming Releases page today, out to Third Quarter 2018. The BattleTechWiki Founders Awards give recognition to all of the amazing community members and their contributions over the last year. Please cast your vote for your the community members you think made the biggest impact for the 2017 Founders Awards. Last year, I'd muse in this spot how the number of new articles seemed to ebb, at "only" some 700 for 2016. Silly me. BattleTech is clearly on the rise, what with the games under development by HBS and PGI, and a new dedicated CGL Line Developer with big plans for 2018. On the Sarna BTW side of things we're seeing increased traffic, and 1,436 new articles created in the past year. We're back to full swing, and the upcoming year is going to be great. We're under spambot attack again. A number of highly dubious newly registered user accounts were deleted even before they could create or edit any articles. There's the odd chance that genuine new users were caught up in the crossfire; if this happened, we apologize and ask you to re-register - and it's always a good idea to add yourself to the BattleTechWiki:New user log to show you're a legit user. The official site and forums appear to have started having accessibility issues again, and the forums remain down. If you are able to access the forums, please report it here. Once the forums appear to be accessible again, this post will be removed. The moratorium for Second Succession War has expired. BTW Editors are now free to make edits using this source as a reference. A reminder to all editors: Most BattleTech sourcebooks, rulebooks, etc. are written or annotated as in-universe documents. The Template:InfoBoxProduct was expanded back in 2013 already to include the in-universe agency that purportedly created the document, and when it was written/published in-universe. Product articles that were written before 2013 (mostly) haven't been updated yet to include this information, and newer articles often omit it because they are apparently created off an old article's structure with the older template in place. Given that "sneak preview" information about the year 3250 was provided in the framing context in recent products, all editors are encouraged to use the latest version of the template when creating new articles, and to update older articles. The former project started by Bad_Syntax and Volt Ampere has been restarted by Volt and his Sarna Unified Cartography Society team. They have just released the new SUC Kit, providing updated coordinates and faction ownership history, through all products released in July. See System coordinates for details and release version 2017.08. We're all proud of the ever-increasing page count shown on this Main Page. However, there are about 1,336 pages that need our update love. Please visit Sources Needing Updates, grab the indicated source product, update an article, and knock some of those Update Needed tags away. The moratoriums for Apparent Catastrophe, Touring the Stars: Old Kentucky, and Touring the Stars: Mizar have expired. BTW Editors are now free to make edits using these sources as a reference. After a two week hiatus, the official BattleTech web presence and especially the BattleTech Forum is back online. The last three days of postings prior to the outage have apparently been lost. The BattleCorps site remains offline. The BattleTechWiki Founders Awards are here! 2016 Founders Awards. A slew of spambots has managed to register accounts, and is using these to create gibberish articles. Users are encouraged to immediately introduce themselves on their user page and/or talk page when setting up a new user account, to avoid being lumped in with the spambot accounts and being summarily blocked or deleted with extreme prejudice. The moratoriums for Touring the Stars: Noisiel, Touring the Stars: Tyrfing, Spotlight On: Crescent Hawks, Combat Manual: Kurita and Campaign Operations have expired. BTW Editors are now free to make edits using these sources as a reference. 2016 is over, and even though the overall yearly amount of new articles seems to be decreasing slowly compared to the early boom years (a sign that we're getting somewhere with this wiki project), Sarna BTW has rushed past the 20,000 article count and has seen over 700 new articles created. Let's hope we can keep it up in the new year. 2017 is bound to be great as BattleTech goes. Several major releases have been announced, not only from CGL but also (tentatively) from Harebrained Schemes with their BattleTech video game and from Piranha Games with their announced single-player MechWarrior 5 game, both of which will draw even more new players into our little universe. The moratorium for Experimental Technical Readout: Primitives, Volume 5 has expired. BTW Editors are now free to make edits using this source as a reference. The moratoriums for First Succession War (Source Book) have expired. BTW Editors are now free to make edits using these sources as a reference. The moratoriums for Combat Manual: Mercenaries, Interstellar Operations, Touring the Stars: McEvedy's Folly and Touring the Stars: Butte Hold have expired. BTW Editors are now free to make edits using these sources as a reference. The moratoriums for Touring the Stars: Promised Land and Touring the Stars: Inglesmond have expired. BTW Editors are now free to make edits using these sources as a reference. The moratoriums for Touring the Stars: Manassas and Touring the Stars: Brownsville have expired. BTW Editors are now free to make edits using these sources as a reference. The moratoriums for Touring the Stars: Bone-Norman and Touring the Stars: Bob have expired. BTW Editors are now free to make edits using these sources as a reference. The moratorium for Touring the Stars: Benet III has expired. BTW Editors are now free to make edits using this source as a reference. The moratorium for Touring the Stars: Lone Star has expired. BTW Editors are now free to make edits using this source as a reference. The moratorium for Turning Points: Epsilon Eridani has expired. BTW Editors are now free to make edits using this source as a reference. We've upgraded Sarna.net from MediaWiki 1.24 to 1.26. Please let me know of any issues. Line Developer Randall N. Bills expressly confirmed that the fluff for the Hero 'Mechs in MechWarrior Online is considered canonical for BattleTech. The storyline for the upcoming BattleTech (Video Game) is also intended to be canonical. This is notable as computer games are otherwise expressly excluded from the definition of canon, being considered apocryphal instead. 2015 was another great year to be a BattleTech fan. The Unseen issue is finally going away through the retroactive introduction of new designs that actually look recognizably like the earlier, unseen images. New print novels have been announced (and a small print run of one was sold at GenCon). On the Sarna.net BattleTechWiki side of things, we've seen a continuous drive to improve the existing database, and another 549 new articles added this past year. The 20,000th article will probably be written this year, which is very exciting. The signs are good. Here's to a great 2016! The moratorium for Operational Turning Points: Capellan Crusades has expired. BTW Editors are now free to make edits using this source as a reference. The moratorium for Technical Readout: 3150 has expired. BTW Editors are now free to make edits using this source as a reference. The moratorium for Experimental Technical Readout: Republic, Volume 3 has expired. BTW Editors are now free to make edits using this source as a reference. The moratorium for Handbook: House Kurita and Alpha Strike Companion has expired. BTW Editors are now free to make edits using this source as a reference. The moratorium for Experimental Technical Readout: Republic, Volume 2 has expired. BTW Editors are now free to make edits using this source as a reference. We've begun a discussion about what style and tempus articles on Sarna.net BTW should follow, and we're looking for input from the community, from everybody who is using Sarna as a resource. Please share your opinions in the discussion thread here and in the survey here. The moratorium for Turning Points: Irian has expired. BTW Editors are now free to make edits using this source as a reference. The moratorium for Experimental Technical Readout: Republic, Volume 1 has expired. BTW Editors are now free to make edits using this source as a reference. The moratorium for Historical Turning Points: Tortuga has expired. BTW Editors are now free to make edits using this source as a reference. Thanks to everyone in the community, the 2014 Founders Awards are now available! The moratorium for Experimental Technical Readout: Most Wanted has expired. BTW Editors are now free to make edits using these sources as a reference. The moratorium for Operational Turning Points: Widowmaker Absorption has expired. BTW Editors are now free to make edits using these sources as a reference. The moratoriums for Field Report 2765: Periphery and Experimental Technical Readout: Primitives, Volume 4 have expired. BTW Editors are now free to make edits using these sources as a reference. On behalf of Nic and the admin staff I'd like to wish everyone a Merry Christmas as we come to the close of another busy and productive year on Sarna. Sarna continues to grow and improve steadily thanks to the efforts of all of our contributors - thank you to everyone who has helped over the last year to make Sarna even better. I hope that everyone has had a good 2014, and that everyone will have a great 2015 to follow. The moratoriums for Record Sheets: Vehicle Annex, IndustrialMechs & Exoskeletons and Operational Turning Points: REVIVAL Trials have expired. BTW Editors are now free to make edits using these sources as a reference. The moratorium for Historical: Wars of the Republic Era has expired. BTW Editors are now free to make edits using this source as a reference. MediaWiki was upgraded to v1.24. See full changes here. Tell me of issues here. Thanks to everyone who took the survey! Results are posted here. The moratorium for Field Report 2765: LCAF has expired. BTW Editors are now free to make edits using this source as a reference. The moratorium for Era Digest: Dark Age has expired. BTW Editors are now free to make edits using this source as a reference. The moratorium for Experimental Technical Readout: Gunslingers has expired. BTW Editors are now free to make edits using this source as a reference. The moratorium for Field Report 2765: Federated Suns has expired. BTW Editors are now free to make edits using this source as a reference. Thank you to everyone who nominated their fellow community members for the 2013 Founder's Awards. The awards have been posted. Here's to another great year! The moratorium for Field Manual: 3145 has expired. BTW Editors are now free to make edits using this source as a reference. The moratorium for Field Report 2765: Draconis Combine has expired. BTW Editors are now free to make edits using this source as a reference. The moratorium for Field Report 2765: Capellan Confederation has expired. BTW Editors are now free to make edits using this source as a reference. 'Mech articles have been updated with the new section title. Other unit articles need to receive the same treatment, namely AeroSpace Fighter, Battle Armor, Combat Vehicles, and ProtoMechs. The "Armament" section in BattleMech articles is now "Weapons and Equipment". Editors, please help make the change to all 'Mech articles. The moratorium for Technical Readout: 3145 has expired. BTW Editors are now free to make edits using this source as a reference. The moratorium for Record Sheets: 3145 New Tech, New Upgrades and Record Sheets: 3145 Unabridged has expired. BTW Editors are now free to make edits using this source as a reference. The moratorium for Technical Readout: 3145 Republic of the Sphere has expired. BTW Editors are now free to make edits using this source as a reference. The moratorium for Field Manual: 3145 has NOT expired. Please do NOT use this source as a reference at this time. Thanks! The moratorium for A Thing to be Done has expired. BTW Editors are now free to make edits using this source as a reference. The moratorium for Technical Readout: 3145 The Clans has expired. BTW Editors are now free to make edits using this source as a reference. The moratorium for Alpha Strike has expired. BTW Editors are now free to make edits using this source as a reference. The moratorium for Technical Readout: 3145 Free Worlds League has expired. BTW Editors are now free to make edits using this source as a reference. Sarna.net has fully transitioned to a new visual style. Please let me know what you think about it. The moratorium for Technical Readout: 3145 Federated Suns has expired. BTW Editors are now free to make edits using this source as a reference. The moratorium for Technical Readout: 3145 Draconis Combine has expired. BTW Editors are now free to make edits using this source as a reference. The moratorium for Technical Readout: 3145 Capellan Confederation has expired. BTW Editors are now free to make edits using this source as a reference. The moratorium for Historical Turning Points: New Dallas has expired. BTW Editors are now free to make edits using this source as a reference. The moratorium for Historical: Liberation of Terra Volume 2 has expired. BTW Editors are now free to make edits using this source as a reference. The moratoriums for Era Report: 3145 and Technical Readout: 3145 Mercenaries have expired. BTW Editors are now free to make edits using these sources as a reference. 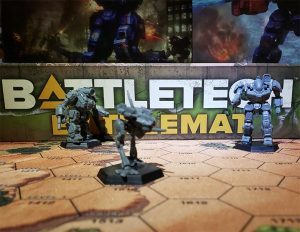 I'm excited to announce a new section for Sarna: The Sarna.net BattleTech News Blog! We aim to bring you the latest tabletop and video game coverage as well as product reviews, community highlights and more. Check it out! The moratorium for Jihad Turning Points: Hesperus II has expired. BTW Editors are now free to make edits using this source as a reference. The moratorium for Interstellar Players 3: Interstellar Expeditions has expired. BTW Editors are now free to make edits using this source as a reference. The 2012 Founder's Awards have been posted. Let me give a sincere Thank You to everyone who's helped out on the wiki over the last year! The moratoriums for Experimental Technical Readout: Boondoggles, Technical Readout: Vehicle Annex Revised, and Objectives: The Clans have expired. BTW Editors are now free to make edits using these sources as a reference. We've added a mobile version of Sarna.net at http://m.sarna.net, though it's still in testing. Let us know what you think. Also, feel free to follow @SarnaNet on Twitter for news updates. The moratorium for Objectives: Periphery has expired. BTW Editors are now free to make edits using this source as a reference. The moratorium for A Time of War: Companion has expired. BTW Editors are now free to make edits using this source as a reference. The moratorium for Record Sheets: 3067 Unabridged has expired. BTW Editors are now free to make edits using this source as a reference. The moratorium for Experimental Technical Readout: Succession Wars, Volume 1 has expired. BTW Editors are now free to make edits using this source as a reference. It's that time of the year again: All BTW users are invited to nominate worthy contributors and share their opinions on the 2012 Founder's Awards. Nomination closes on 31 January 2013. The moratoriums for Experimental Technical Readout: Primitives, Volume 3, and Objectives: Free Worlds League have expired. BTW Editors are now free to make edits using these sources as a reference. Users BrokenMnemonic and Frabby plan to bring articles on individual named starships to BTW, instead of the currently prevalent method of listing some notable ships in the article for the respective class. This is a big undertaking considering the sheer number of named vessels in the BattleTech universe. So far, we have (only) renamed ambigously-named categories to differentiate articles about ship types/classes from the upcoming individual vessels. Feel free to join the project planning, currently taking place at User talk:Frabby#Individual Ships Template. The moratoriums for Historical Turning Points: Antallos, Experimental Technical Readout: Phantoms, and BattleTech Dossiers: The Bounty Hunter have expired. BTW Editors are now free to make edits using these sources as a reference. The moratorium for Field Manual: SLDF has expired. BTW Editors are now free to make edits using this source as a reference. The moratorium for Total Chaos has expired. BTW Editors are now free to make edits using this source as a reference. Newly registered user Black Yoshi1230 was accidentially (and irrevocably) deleted with the latest batch of spambots. Newly registered user Varcoris was accidentially (and irrevocably) deleted with the latest batch of spambots. Newly registered user BunchofCrooks was accidentially (and irrevocably) deleted with the latest batch of spambots. The moratorium for Era Report: 2750 has expired. BTW Editors are now free to make edits using this source as a reference. The moratorium for Field Manual: 3085 has expired. BTW Editors are now free to make edits using this source as a reference. For anyone experiencing significant load times on the Recent Changes page, turning off the Use enhanced recent changes option (My preferences-->Recent changes-->Advanced options) may help alleviate the problem. The moratoriums for Experimental Technical Readout: ComStar and Experimental Technical Readout: Primitives, Volume 2 have expired. BTW Editors are now free to make edits using these sources as a reference. The moratorium for Record Sheets: Prototypes has expired. BTW Editors are now free to make edits using this source as a reference. The moratorium for Objectives: Lyran Alliance has expired. BTW Editors are now free to make edits using this source as a reference. The Unfinished Book Project is proud to announce the completion of their first mission - Jihad Turning Points: Luthien. With the creation of the article on BattleCorps Iron Writer and the updating of the BattleCorps Scenarios and BattleCorps Stable Reports lists, all BattleCorps fiction published to date is now covered on BTW with (at least) a stub article. The 2011 Founder's Awards have been given! We've implemented a few changes to hopefully reduce the amount of SPAM this wiki gets. If the changes cause any pain for legit edits, please contact me. The BTW community has jointly crafted and unanimously accepted the new Article Naming policy, guiding writers and editors through the guidelines for naming new articles over a myraid of genres. Give it a read! The moratorium for Jihad: Final Reckoning has expired. BTW Editors are now free to make edits using this source as a reference. The moratorium for Dark Age Turning Points: Vega has expired. BTW Editors are now free to make edits using this source as a reference. The moratorium for Experimental Technical Readout: Periphery has expired. BTW Editors are now free to make edits using this source as a reference. Abbreviated nomination period this year, my colleagues. Please make your nominations and supporting remarks here. BTW was featured on Fark.com, a large news aggregator, and our collective efforts found rather appreciative feedback on the comments page. Another fun and successful year for the Sarna.net BattleTech Wiki and BattleTech in general is nearing its end. In the name of the Admin staff, I wish all users Merry Christmas and a Happy New Year! The moratorium for Objectives: Federated Suns has expired. BTW Editors are now free to make edits using this source as a reference. On Friday December 16, 2011 at 12pm PDT, we upgraded MediaWiki from version 1.15.0 to 1.18.0. A few problems after the upgrade have been resolved. If you encounter any new issues, please post on my talk page. In another fine example of community consensus, discussion has opened on a possible policy to standardize article names, starting with characters. Please take part in the current discussion or start another post to discuss other areas needing naming guidance (systems, vehicles, products, etc.). The moratorium for Field Report: Clans has expired. BTW Editors are now free to make edits using this source as a reference. The moratorium for Objectives: Draconis Combine has expired. BTW Editors are now free to make edits using this source as a reference. All Fanon content has been removed from BTW. If you think something has been missed, please contact an Admin. The moratoriums for Technical Readout: Prototypes and The Wars of Reaving have expired. BTW Editors are now free to make edits using these sources as a reference. All fan fiction on this site has been copied over to the BattleTech Fanon Wiki. The pages will be deleted here on 01 November 2011, concluding the migration process. The moratorium for Experimental Technical Readout: Clans has expired. BTW Editors are now free to make edits using this source as a reference. The moratoriums for Historical: Reunification War and Field Report: Periphery have expired. BTW Editors are now free to make edits using these sources as a reference. Five years ago today, BattleTechWiki opened its doors. Thanks to everyone who has contributed to the 14,000+ articles since then! Thirty days remain until the purge of all remaining fanon material from BattleTechWiki begins. Further details can be found at Policy:Fanon. BTW Writer BrokenMnemonic has written the project's milestone 14,000th article, Ormal. Thanks to him and all the editors that helped us reach this highpoint. The moratorium for Era Report: 3062 has expired. BTW Editors are now free to make edits using this source as a reference. Project: Technology has a new volunteer project lead, editor LRichardson, and to kick the project into gear he invites you to check out the six brilliant project userbars created by HikageMaru. The moratorium for Era Digest: Age of War has expired. BTW Editors are now free to make edits using this source as a reference. A new tool for articles has been released. The Conflict infobox can be used to help start or beef up articles on battles, campaigns or other similar subjects. If you have ideas on what to add to the box, please make your comments here. Good news everyone! The moratorium for Historical Turning Points: Mallory's World has expired. BTW Editors are now free to make edits using this source as a reference. The moratorium for Handbook: House Liao has expired. BTW Editors are now free to make edits using this source as a reference. BTW has released the new Fanon Policy, directing the project to focus on articles about BattleTech and dis-allowing "articles" which effectively serve to publish fan-fiction. Please review the policy and consider posting your fan fiction on BattleTech Fanon Wiki. As the proposal to move BattleTechWiki fully into an official-only project passed overwhelmingly, a deadline of 01 October has been set for the transfer of all non-official material to the BattleTech Fanon Wiki. Further details can be found at Policy:Fanon. The moratorium for Objectives: Capellan Confederation has expired. BTW Editors are now free to make edits using this source as a reference. A new team effort has launched - Project: Technology. If you're interested in improving BattleTechWiki's coverage of equipment and technology, consider getting onboard. The moratorium for the award-winning 25th Anniversary Introductory Box Set has expired. BTW Editors are now free to make edits using this source as a reference. The moratoriums for Field Report: LAAF and Experimental Technical Readout: RetroTech have expired. BTW Editors are now free to make edits using these sources as references. The moratoriums for Starter: Fist and Falcon, BattleTech Dossiers: Youling Zhanshi, and BattleTech Dossiers: Jason Zaklan have expired. BTW Editors are now free to make edits using these sources as references. A request to all users pertaining to spambots and spam pages: Please do not edit those (it is not neccessary to insert a deletion tag), and do not blank pages. The Admins patrol this site on a daily basis and will deal with spam right away. See also here. The proposal to remove fan-created content ('fanon') from BTW has passed. The policy process has now moved into discussion of the definition of 'fanon', as it pertains to this site. All BTW writers, editors and users are welcome and encouraged to voice their opinion here. BTW Writer CungrVanck has written the project's milestone 13,000th article, Odessan Raxx (with an assist by Siberian-troll). The moratoriums for Dark Age Turning Points: Liao and Field Report: FWLM have expired. BTW Editors are now free to make edits using these sources as references. Sarna.net now has five themes, one for each House. You can choose to view Sarna in the colors of your favorite faction by logging in, selecting the My Preferences link at the top of the screen (next to the My Talk link), and then selecting the Skin link. Please note that you will need to change your Awards Board code slightly to use the new styles. Game Rules sections will also need to be updated to get the correct colors. Please follow these instructions for all future Game Rules sections. The BattleTechWiki community mourns the passing and celebrates the myriad works of renowned artist Doug Chaffee. Founder Nic Jansma has authorized a discussion on policy regarding the separating of canon & official articles on BattleTechWiki from fan-created content ('fanon'). If there is overwhelming support for such a policy, fanon would be moved to the BT Fanon Wikia. All BTW writers, editors and users are welcome and encouraged to voice their opinion in the discussion. As was announced here, the Template:InfoBoxProduct has been reworked to be the unified end all-be all Infobox for BattleTech products, print or otherwise. The use of Template:InfoBoxNovel, Template:InfoBoxBook and Template:InfoBoxBC will be discontinued and articles will be modified to employ the Product Infobox exclusively. The moratorium for Experimental Technical Readout: Steiner has expired. BTW Editors are now free to make edits using this source as a reference. The moratoriums for Record Sheets: 3085 Unabridged - The Cutting Edge and Operational Turning Points: Falcon Incursion have expired. BTW Editors are now free to make edits using these sources as references. Master Unit List: Battle Value, a limited first part of the official Master Unit List project database, has been published online for free. The moratoriums for Record Sheets: 3085 Unabridged — Project Phoenix, Record Sheets: 3085 Unabridged — Old is the New New, and Era Report: 3052 have expired. BTW Editors are now free to make edits using these sources as references. The moratorium for Experimental Technical Readout: Marik has expired. BTW Editors are now free to make edits using this source as a reference. The Awards Committee has released a new Admins' Award: the Community Service ribbon. This award is granted to members who contribute to the BTW project with the addition or completion of an activity that significantly enhances productivity (such as site design work, added functionality or policy work). A new team effort has launched - Project: Infantry Weapons. If you're interested in the subject, consider getting onboard. The moratoriums for Technical Readout: 3085 Supplemental and Experimental Technical Readout: Liao have expired. BTW Editors are now free to make edits using these sources as a reference. The moratorium for Quick-Strike: Technical Readout: 3060 Unit Cards has expired. BTW Editors are now free to make edits using this source as a reference. 2010 was another great year of growth for BattleTechWiki, and entirely due to the amazing contributions of the community. 3,142 new articles were written. There has been a lot of great input from all the outstanding members of this community who have helped develop this site. I've posted the Founder's Awards on the 2010 Founder's Awards page. The moratorium for A Time of War has expired. BTW Editors are now free to make edits using this source as a reference. An entirely new CBT forum has been set up in the place of the old one. Users need to re-register. The old forum's content as of October 2010 is now (temporarily) available as an archive, but any content added since October is lost. CBT Forums hack update: Warnings have been issued that user account data was apparently stolen; attacks on the email accounts of registered forum users have been reported since. If you were a registered user on the CBT Forums and used the same password there and elsewhere, then you are advised to change it! The moratoriums for BattleTech Dossiers: Lamenkov's Liability and BattleTech Dossiers: Salazar Tsakalotos have expired. BTW Editors are now free to make edits using these sources as references. The ClassicBattleTech.com (CBT) forums section is down. This time, it looks like a serious security breach and the database and/or all user accounts may be wiped. Many canonical rulings and clarifications that were posted on that official interaction forum with the Line Developers and production staff may be lost. Some of them have been transcribed to BTW, but many reference links to the CBT forums may now be dead. Founder's Awards Update: A new category has been added for Writers, rather than only Editors. Please nominate your candidate for Superior Writer of the Year at 2010 Founder's Awards. All nomination periods have been extended until 23 January. The moratorium for Operational Turning Points: Death to Mercenaries has expired. BTW Editors are now free to make edits using this source as a reference. The moratorium for Field Report: DCMS has expired. BTW Editors are now free to make edits using this source as a reference. Nominations are being sought for the 2010 Founder's Awards. Please nominate and/or support the Editors you best feel deserve these annual awards. Well, this is it: Happy New Year to all of you! BTW has seen an amazing growth, and exceeded 12,000 articles this past year. We're definitely on the right track. Please continue your ongoing efforts to improve this site, and keep up the good work everybody! Site owner Nicjansma requests that only pictures are uploaded to BTW which are used in articles, as it is not meant to be a data repository. Non-picture files (such as PDF) should be handled through the site's download section instead. A file move is underway, as is a purging of unused files. The moratorium for Historical Turning Points: Glengarry has expired. BTW Editors are now free to make edits using this source as a reference. Sarna's own Frabby has now been published, with two BattleCorps stories: "Rise and Shine" and "Feather Vs Mountain", detailing conflict between Wolf's Dragoons and House Kurita spilling into the streets of An Ting. Not only is he chronicling BattleTech's history...now he's writing it. Exciting stuff! The moratoriums for Field Report: CCAF and Era Digest: Golden Century have expired. BTW Editors are now free to make edits using these sources as a reference. The moratorium for Experimental Technical Readout: Primitives, Volume 1 has expired. BTW Editors are now free to make edits using this source as a reference. Sarna's 12,000th article, Era Report: 3052, was written by Wrangler, one of our most prolific Editors. The moratoriums for Experimental Technical Readout: Davion and Historical Turning Points: Misery have expired. BTW Editors are now free to make edits using these sources as a reference. The moratorium for Experimental Technical Readout: Boondocks has expired. BTW Editors are now free to make edits using this source as a reference. The moratoriums for Record Sheets: 3058 Unabridged (Clan & Star League) and Record Sheets: 3058 Unabridged (Inner Sphere) have expired. BTW Editors are now free to make edits using these sources as a reference. The moratorium for Historical: Operation Klondike has expired. BTW Editors are now free to make edits using this source as a reference. The moratorium for Operational Turning Points: Red Corsair has expired. BTW Editors are now free to make edits using this source as a reference. The Awards Committee has released two new Editor's Awards: the Surreal and Substantial Addition ribbons. The first is awarded by Editors wanting to recognize that a colleague has brought that something special to the project, while the second is to recognize the improvement of an existing article by an Editor. The moratorium for Experimental Technical Readout: Corporations has expired. BTW Editors are now free to make edits using this source as a reference. The moratorium for Experimental Technical Readout: Gladiators has expired. BTW Editors are now free to make edits using this source as a reference. The moratoriums for Jihad Turning Points: Dieron and Record Sheets: Operation Klondike have expired. BTW Editors are now free to make edits using these sources as a reference. The moratorium for Record Sheets: 3075 has expired. BTW Editors are now free to make edits using this source as a reference. The ever-shy stealthy and modest Mbear has accepted a position as BTW Admin. The new Images policy has just gone live. It discusses references, galleries, thumbnails and other related issues. Thanks to Mbear for helming & writing the policy and all of the Editors that weighed in to help craft it. The moratorium for Historical Turning Points: Galtor (a PDF-only publication) has run out. BTW Editors are now free to make edits using this source as a reference. Choose your favorite. Thanks to Mbear for crafting these for all of us. The Awards Committee has released the newest Admin's Award: the Good Conduct Award. Though we hope never to need it, this is to recognize an Editor who has responded to a personal attack with dignity, aplomb and the intent to solve the problem. This is an Admin's Award, so nominations must be made. I've decided to retire my server, including BattleTechWiki. Please move all important files over to Wikipedia's BattleTech pages by the end of the month of April. Please discuss here. Please review the Canon Policy's new ruling against using meta-sources as references. The community is working together to churn out new & updated policies (see the Chatterweb below). Please review the Notability policy's newest addition, regarding sub-stub pages. The 10,000th article was created today by Mbear with Streak LRM-5. The Awards Committee has released the newest Admin's Award: the Image Import Ribbon. This colorful ribbon must be awarded by an Admin, but you can nominate someone by contacting any active Admin with the reason why you feel they deserve this. The nominee must have demonstrated dedication to improving the visual aspects of BattleTechWiki. Reflecting on 2009, BattleTechWiki grew tremendously from the hard work of many editors, both old and new to the site. It's amazing how much great information is being added daily. I've handed out some Founder's Awards in appreciation. Thanks to everyone who is a part of our community! The Awards Committee has released the newest Editor's Award: the Casual Edit Ribbon. This award is given when any "Editor witnesses another Editor making a minor correction to any random article." Show your appreciation for the efforts of the other Editors here by granting this or any of the other myriad ribbons available. The Assume Good Faith and Vandalism policies have just been released. All Editors are asked to review them, in order to ensure the high levels of civility we have come to enjoy remain in effect. Incredible job this last 12 months by Sarna's dedicated team of Editors, with more than a 48% increase in the number of articles since last January, averaging 8 new articles a day. The site is improving by leaps and bounds, thanks to your efforts. To celebrate the tremendous accomplishments of all the site's contributors, we're unveiling the BattleTechWiki Awards. Some will be granted sparingly by Nic, others will be handed out by the Admins, many are granted by other Editors and some are automatic. Please take a look, see what you'd like to grant to other Editors and ask me if you have any questions. January 19: Policy:Awards is released. January 06: Finally fixed the white space in the bottom two sections (to match remainder of Main Page. The Fan Fiction and Article categories have been cleaned up a bit, with their own tags. Now, its easier to find all of Sarna's fan-submitted fiction and articles, as well as being in line with the new Canon policy. The important Policy:Canon for this wiki has been re-forged into what we hope to be its final version. Contributors are encouraged to familiarize themselves with our Canon Policy. As of yet, it appears to reflect the current consensus on the matter. Similarly, the article on Canon has been rewritten from the ground up. The re-release of the Star League housebook, the Federated Suns field manual and the Hot Spots, First Strike! and Fall of Terra scenario books does not fall under the moratorium policy. Feel free to use these sources in your editing immediately. A new category, BattleTech Essays, makes its debut with BattleMech Roles. This new category will be built up with articles by community-recognized essays regarding issues focused on the games or fiction. The source material Jihad Turning Points: Sian, Jihad Hot Spots: 3076, Handbook: Major Periphery States and Strategic Operations have now exited their respective moratorium periods and are available for article inclusion. Have at it, Editors! The edit toolbar has a new look! If you have any questions or opinions you can write them here. Project:Unfinished Book is preparing to launch. Visit the project's main page and take part in the discussion about which title will be targeted first. The site administrators have graciously asked me to become an admin. I hope there is a health plan. My interest is in the technical workings of the site and in expanding the number of MechWarrior: Dark Age articles. Thanks a lot NicJansma, Revanche, Scaletail, and Frabby. BattleTechWiki Editor Ebakunin has brought tree-making to the project. After viewing the template, swing by the article on Hohiro Kurita II to see an example of its use. BattleTechWiki Editor Ebakunin has unveiled the new Yearlist template. Please take a look and add it to any Year articles you see currently unadorned with this helpful tool. BattleTechWiki's founder, Nic Jansma, has upgraded the site to MediaWiki v1.15.0, which provides greater security and additional capabilities. If you find any issues, please report them here. Thank you, Nic. "Congratulations" and "A Job Well Done" to the authors of the last 1600+ new articles. These articles added since January have increased Sarna's database by over 25%. Just incredible. Thank you, from your fellow editors and readers of BattleTechWiki. Project: Military Commands has been formed. This project's goal is to improve BTW's coverage of articles on military units, brigades, and formations. Please sign up if you're interested in helping us out with this type of article. July 12: Upgraded the Manual of Style essay to policy. July 11: Updated the Notability policy with one minor but important factor regarding article pages. July 11: Unveiled the long-dormant Editing policy and created the Etiquette essay. July 10: The Canon policy was updated with the sub-policy of "consensus can change" and the addition of the "Lengthy discussion" and "B-E-D" methods for reaching consensus. July 09: Edittools have been added to the edit fields. July 09: Automatic Welcome has been instituted for new registrants. He also added the auto-suggest function to the search box. June 29: Updated the front page Sidebar to read To Do List from the more specific task of Wanted Pages. June 29: A new template tag has been added: Update Needed, to be used to identify articles needing to be updated with a specific source, whether its currently under the moratorium policy or not. June 18: Updated the front page Sidebar to read Help & How-to from only Help. A new policy has been created, asking editors to refrain from using sources that have been recently published. Please see Policy:Moratorium for details. Greetings everybody! To my own lasting surprise, I have been promoted to Administrator status on this Wiki. My thanks go to NicJansma, Revanche and Scaletail! I intend to keep working on this wiki just as I have, that is, improve articles and add bits and pieces everywhere with no clear preferences. That is also why I have avoided joining any project teams. Canon is the one issue of supreme importance to me, clouded and confused as the issue may be at this time. A new section has been added to the Main Page: the Chatterweb. This will be a section where important discussions & calls for consensus will be highlighted. All active Editors are asked to both review the discussions on a regular basis and add links to areas they feel need to be brought to the attention of other Editors. Results will be archived on the Minor News page. A new primary Category, Game Aids, has been created to track all articles re-creating tables used in the various games. Help BTW by writing and identifing previous articles that can be accessed directly thru this Main Page category. Thanks to the efforts of Editor Ebakunin, Novel articles are now being built. Feel free to follow his example and create your own! WikiProject: Factions has been created to improve the coverage of all factions and faction events on BTW. WikiProject:Ground Units has been created to improve the coverage of vehicles and battle armor here on BattleTechWiki. All mainstream, canon Clan BattleMech articles have been created. By no means does this imply that work on BattleMech articles has been completed, so please visit Project BattleMechs to see how you can help. August 26: Consensus was reached regarding setting standards for character articles, with the guidance to be developed by the BattleTechWiki:Project Biographies team. An allowance for deletion was included. Proposal here. August 26: Consensus was reached regarding the authorization of additional categories for character articles on BTW, with the proposal passing. The decision: a) all character articles will be included in Category: Characters (as the parent category), b) that all character categories be tracked at BattleTechWiki:Project Biographies, in order to keep, "standards consistent and the categories themselves under easy and constant review." Proposal here. August 26: Consensus was reached to rename Category:People to Category:Characters. This also decided that all previous characters removed from Category:People would be returned to the newly renamed category and that all future characters would also be included. Proposal here. August 26: Minor News page bursts back into relevance. August 25: Minor News page fades into oblivion. Request For Comment, accessed from the top panel on the Main Page, has been introduced. Use this forum to introduce an issue when you seek community consensus. A discussion has been started on what is and is not notable enough to be included in BTW, and input is needed from all editors. This is incredibly important, because it will eventually determine what will and will not be allowed as content on this wiki, so please contribute to the discussion. Scaletail is now an admin/sysop. He, and all admins, can be reached by clicking on "Contact an Admin." After more than seven months of work, all mainstream, canon Inner Sphere BattleMechs now have their own article thanks to the Project BattleMechs team. Work on the Clan 'Mechs has already begun. The Neveron Strategy category has been inaugurated with Kit's Slack Defense article. The House Rules category has been opened, with customized ideas on how Land Tractors can increase the weight that can be pulled. Scaletail has opened up the Mercenary Units 'faction' page, as a starting point for your mercenary reference needs. November 30: New policy Privacy has been rolled out. December 06: New candidate policies, Notability and Vandalism, have been rolled out and need discussion participation. December 08: The existing policies have been broken into two categories: 'completed' and 'under construction', with the latter receiving the appropriate template. Further, some essays previously residing in the About BTW category have been recognized as policies and moved accordingly. December 09: New user warnings, namely counter-vandalism templates for blanking, spamming and straight vandalism, have joined the pre-existing Personal Attacks warnings. Vandal patrollers now have some official-looking tools at their disposal. December 09: New policy Be bold has been rolled out. December 10: A new candidate policy, Consensus, has been rolled out and needs discussion participation. December 11: A new candidate policy, Disruptive Editing, has been rolled out and needs discussion participation. December 11: New policies Libel and No Legal Threats have been rolled out. Rommel twee jump-starts the new [[::Category:Fan Projects|Fan Projects]] category (found in the Other Items of Note here on the Main Page), with an article on Project: Dark Phoenix. A 'Big Thanks' to Skuggi for the UserBars that various BTW staff will soon be sporting on their User Pages. They really are works of art. You can also grab one off his UserPage to tastefully advertise BTW on your favorite forums. Spread the word! RogueBaron kicks off the new [[::Category:Fiction|Fan Fiction]] category of BTW with DragonQuest, a story of four brave Kuritan warriors in the Chaos March. BattleTechWiki has reached the milestone of 3,000 articles, appropriately enough with an article on Jordan Weisman, co-creator of BattleTech. Great job, Editors! Here's the new look of Sarna.net's BattleTechWiki. Thanks to the tremendous help of some of our visitors, as well as contributors from MechWikia, this wiki is starting to build some great content! Thanks everyone! The Battle Armor, Conventional Fighter, Exoskeleton, Industrial 'Mech, Small Craft, Space Station, Structure, Support Vehicle and WarShip templates have been completed. Editors may now write new articles for these categories. Also, a template for submitting fiction stories has been created. The Project:BattleMechs group has been formed. Join up as an Editor and help us organize our 'Mechs. The DropShip template has been completed. Editors may now write new articles for this category. Sarna.net is now a wiki, using MediaWiki software (the same thing that runs Wikipedia). I have converted all of the old static pages into a wiki format so that this site can grow as a community. Anyone who has a small amount of time and desire can help keep BattleTech alive. Contributing is easy! Please read the Help page for more information, including wiki syntax. There is also a To-Do and Wishlist for ideas on how to expand.